Situated in very close proximity to all the vibrant spots of Cannes and Saint-Tropez, Tiara Yaktsa Cannes sits in the charming town of Théoule-sur-Mer and is usually less than a 25 minute drive from the Cannes-Mandelieu Airport. 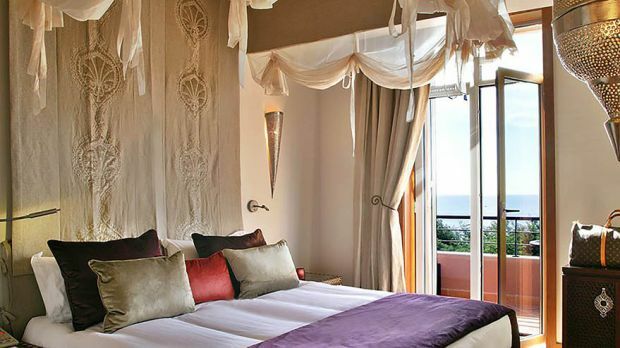 Taking its cue from Cannes, the Tiara Yaktsa Cannes is an exquisite destination, offering accommodations that will please any guest who enjoys being near the vibrancy of Cannes and Saint-Tropez while knowing that their hotel is just as pleasurable. Incomparable views of the deep-blue sea, intoxicating fragrances and beautiful gardens will lull you into a tranquil state, and your calm, magical Mediterranean surroundings will envelop you here. But be warned: you may never want to leave. Send an availability request with your requested dates to the Tiara Yaktsa Côte d’Azur. Features 1 Queen bed, en-suite bathroom with walk-in shower, balcony, sea view, Wi-Fi Internet, air conditioning, hairdryer, LED Satellite TV, air conditioning, safe, Nespresso coffee machine and mini bar. Features 1 Queen bed, balcony, garden views, hairdryer, bathrobes and slippers, minibar, safe, en-suite bathroom with walk-in shower, air conditioning and Wi-Fi Internet. Located on the ground floor. Features 1 King bed, sitting area, balcony, garden views, ensuite bathroom with walk-in shower, safe, mini bar, hairdryer, bathrobes and slippers, Wi-Fi Internet, LED Satellite TV and air conditioning. Features 1 King bed, sitting area, balcony, sea views, bathrobes and slippers, large LED Satellite TV, minibar, Nespresso coffee machine, ensuite with double walk-in shower, air conditioning and Wi-Fi Internet. Features 1 King bed, sitting and dining room, em-suite bathroom with double bathtub and walk-in shower, hairdryer, bathrobes and slippers, kitchenette, two terraces, jacuzzi, sea and garden views, LED Satellite TVs, Nespresso coffee machine, air conditioning, safe, air conditioning and Wi-Fi Internet.